1992.8. - Assistant and Associate Professor, Department of Economics, Fort Lewis College, Colorado State University, Durango, Colorado, USA. 1991.6 -1992.8 Lecturer, Department of Economics, University of California, Davis, California, USA. 2011 - Member, Advisory Committee for Economic & Trade Policy, Ministry of Commerce, P.R.C. 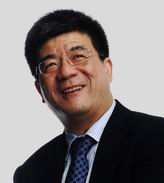 2001 - 2005 Member, Research Committee of Health Policy, Ministry of Health, P. R. C.
1994.8 - 1998 Member, Academic Committee of Economic Research on China, The Ford Foundation, U.S.A.
1993 - 1994 President of the Chinese Economists Society (CES), U.S.A.
“Integration of the Global Economy and China”, No. 119, CCER Newsletter Series, 2000. “China’s WTO Accession: Impacts and Significance”, International Economics Review, No. 3-4, 2001. "Discrepancies in International Data: An Application to China-Hong Kong Entrepot Trade” (with R. Feenstra, W. T. Woo, and S. Yao), American Economic Review, May 1999. “China’s FTA Policy and Practice” (with Li), Northeast Asian Economic Integration: Prospects for a Northeast Asian FTA, Edited by Yangseon Kim et al, KIEP, Korea 2003. “The Short-Term Impact of SARS on the Chinese Economy”, forthcoming, (with Zhao, Wang, and Hou), Asia Economic Papers, Vol. 3, Issue 1 - Winter 2004. “A Bilateral or Trilateral FTA?” (with Zhang), Strengthening Economic Cooperation in Northeast Asia, Edited by Yoon Hyung Kim et al, KIEP, Korea, 2004. “Pros and Cons of International Use of the RMB for China”, (with Yao), Currency Internationalization: Global Experiences and Implications for the Renminbi, Edited by Wensheng Peng and Chang Shu, 2010.